Happy Friday, everyone!! Are you excited for the weekend?? I know that I am....although it should be a quiet one. Our friends, Grant & Meagan (WHO ARE EXPECTING!!!! I am SO 'CITED for them!!! Eeeek!!) are coming over for dinner tonight. We are slow cooking short ribs, and they are bringing sides & drinks...it is going to be delish!! I can't wait! Tomorrow Josh has to go to Butte with his geek squad agents for a really big job, so I think I am going to get up and go to Oula....then create the day away! We are leaving for Texas at the end of the month for 10 days, so I need to start getting everything done in advance for when I am gone. If I don't start now, I will probably never get it done in time. Ha! 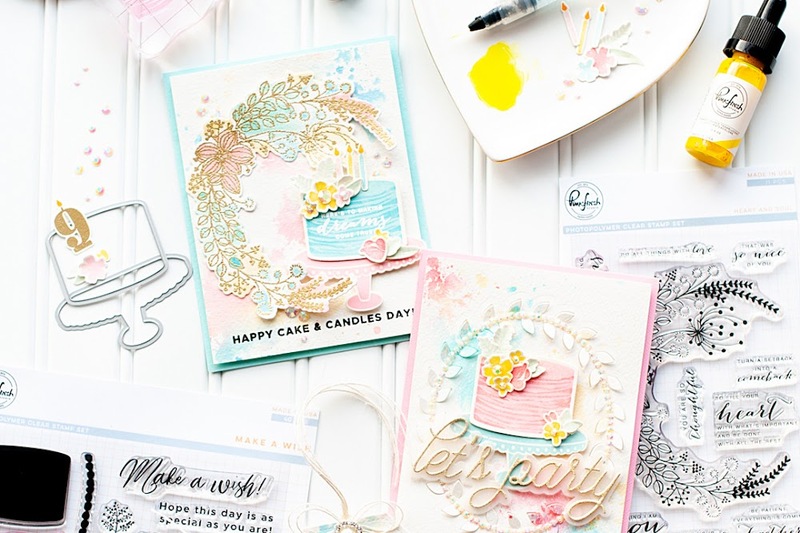 There is still time to comment on my Glitz Design Color Me Happy Blog Hop post if you haven't already. 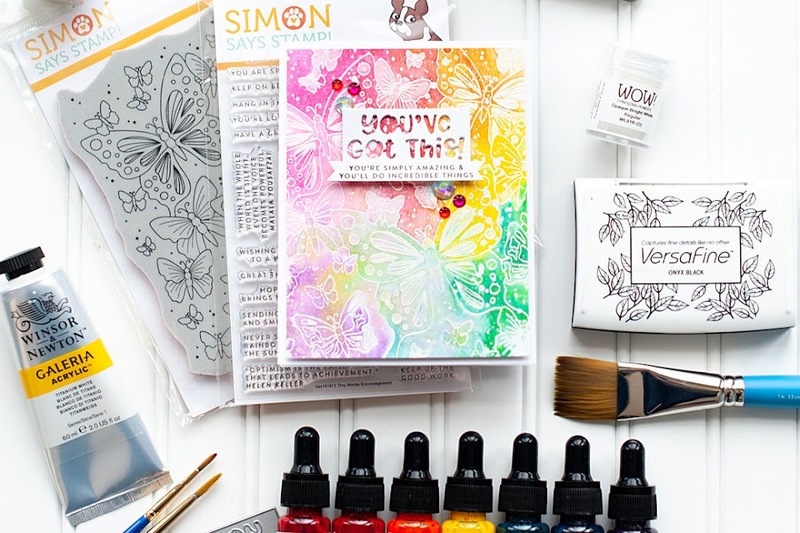 I have a small prize for just my comments, and then of course...the chance to win the Color Me Happy collection from all of the comments on the blog hop. 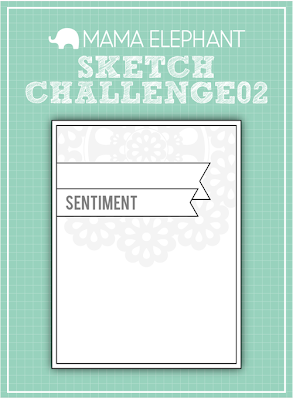 We have a new challenge up for you at the Mama Elephant blog today, and this time around it is a sketch challenge! Isn't it a fabulous little sketch with so many possibilities?!! I used the Smitten stamp set and paired it with some Elle's Studio "You and Me" collection...and yes, it is another love themed card. Told you- that is what I mostly create, it seems. If you think about it though...it makes sense. Love surrounds me most of the time...I am a photographer who focuses on weddings. So, I mostly shoot engagements & weddings, with the hope that I will become the couple's lifelong photographer as they make families & go along their lives. Love is a natural topic for me to cover....ha! Here is what I created! 2. Cut large journaling card slightly smaller, then adhere. 3. Wrap a doily around the top of the card. 4. Stamp a banner to white cardstock, then cut out. 5. Cut banner edges to the other tags, and layer all 3 to the top of the card. 6. Stamp the hand image to kraft cardstock, then diecut. 7. Layer together with another circle tag to the left side of the smaller banners. 8. Stamp the barcode image to the bottom of the card. 9. Accent the front with star sequins, jewels & pearls to finish. Do you want to see some spring clothing that I am basically coveting right now? I REALLY want them. The top & pants are more feasible, because they actually have a 25% off discount going right now. But I just don't know if I can deal with spending almost $100 on a pair of flats. I might have to wait and see if they go on sale somewhere in the near future...here's hoping!!! Well, that is everything I have to share with you today....I hope you enjoyed my sweet little love card!! Have a FAB Friday!! I just picked up a pair of white jegging jeans too, love the look but still a bit worried about wearing them lol! Hi Lea! I absolutely adore your card! It is so sweet and beautiful. Thank you for playing with us at Delightful Challenges. You did a really great job with this cute sketch. It's original and colorful, and uniquely LEA!!! Thanks for sharing with us this week. It's always SUCH a blessing to see your darling cards shared in our challenges, and I appreciate it SO much. Great card! Love your cluster and how you used the banners!! Thanks so much for joining us over at Frosted designs!! That's a beautiful card! Love the colors and that bar code stamp. Thanks for playing along with us at Frosted Designs! Adorable card, love the addition of the doily. Thanks for joining us at WAW. Thank you for entering our challenge at Delightful Challenges & good luck! What a unique card. Thanks for joining us at Delightful Challenges. Great card! 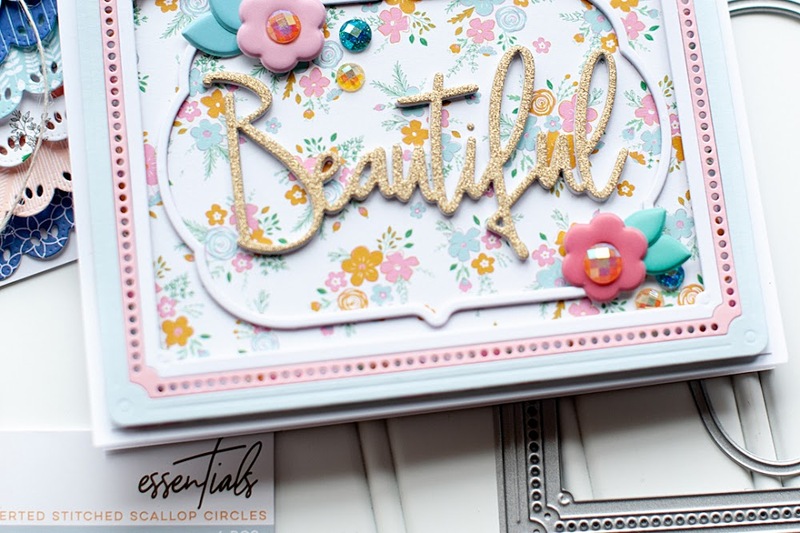 Thanks for linking up at Frosted Designs!